Australia’s current drug driving laws punish individuals who present no risk to other drivers, and attempts to bring the war on drugs into traffic management, but on a completely false pretext. It is an offence in Australia to drive a vehicle with illicit drugs present in your bloodstream. This is in addition to the laws prohibiting driving under the influence of drugs. 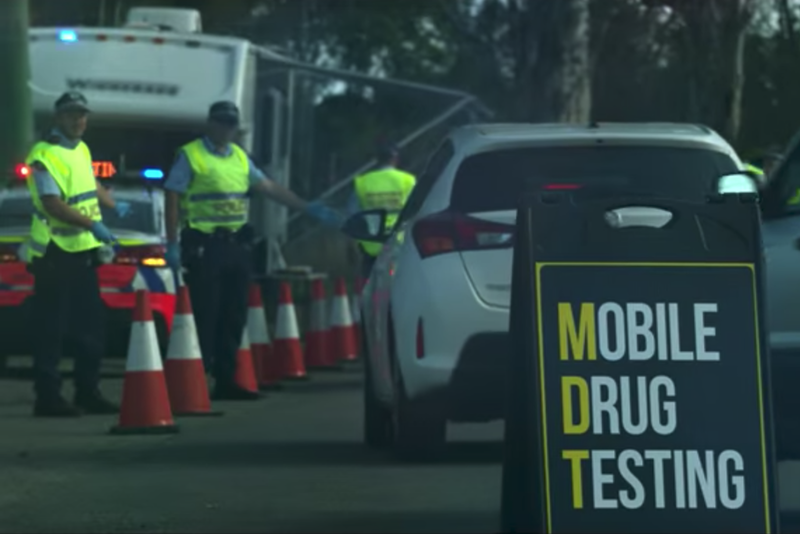 Roadside mobile drug tests (MDTs) are used by police to target drivers who might have even the slightest amount of drugs within their system. Police have announced that they plan to ramp up the number of roadside MDTs and increase maximum penalties for drug drivers, but there is little evidence to show that this regime will reduce road fatalities nor improve the safety of road users. It has been over two years since we’ve posted about roadside drug tests but little has changed – the same problems still exist. MDTs require drivers to undertake a saliva swab with a positive indication resulting in a fine, arrest and/or charges being laid. There are several issues with this process. Firstly, MDTs are only used to detect the presence of three substances (cannabis, ecstasy and methylamphetamine). However, it has been reported that prescription medications are one of the top contributors to drug-related road deaths. Despite this statistic, people driving under the influence of prescription drugs, that could very well inhibit their driving ability, are undetected during MDTs. In contrast, MDTs do not determine levels of impairment or time of drug use. This means that drivers are charged and prosecuted for the mere presence of illicit drugs in their system, and not for the impairment of their driving. Compare this with drink driving laws that allow small levels of alcohol to remain in the system when driving. The same should be applied to drug driving – traces of drugs from previous days’ use should not result in punishment given that there is no evidence demonstrating inhibited driving ability. The drug testing regime and criminal penalties for drug use and driving should be based on scientific research and evidence that links the effects of drugs on driving impairment, just as drink driving is so linked. The police’s support of the current program is said to stem from their motivation to deter drug-affected driving. But it cannot be said that these laws achieve this purpose given that, in an overwhelming number of cases, the driver is unaware that minor traces of the drug are still in their system days after they have used the drug. In those instances, drivers present no risk to the public and are unfairly punished. Many of those convicted face shattering consequences to their livelihood and their liberty. Courts are being clogged with these cases. Magistrates have in many instances stated that punishment is unwarranted in these situations. It is not uncommon that section 10s are awarded in these cases where the individual is dismissed without conviction. To conclude, drug driving laws and mobile drug testing practices need to be reviewed to ensure that they are actually tackling issues of road traffic management and road safety, not simply widening the net of drug laws. This entry was posted in criminal defence, drugs, traffic. Bookmark the permalink.